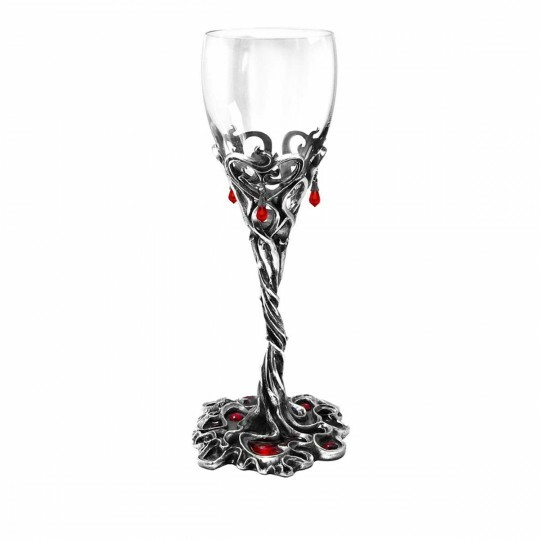 CWT43 - Draculas Cup in Gifts is made for Women and Men and comes in Red and is made of Crystals material. It is marked as Glassware and weighs about 1.00 lb. For a dangerously intimate encounter; blood red Swarovski crystals drip from the thorns of peril and passion. Width 3.15 x Height 8.82 x 3.15 Approx.